How might we monetize Kaskus without sacrificing user experience? Identify opportunities with Kaskus product range (Jual Beli, Forum, Payment, Ads) and define a strategic experience blueprint to align these products, and to improve Jual Beli experience specifically. We first did stakeholder research with the founders, C-level, management, and team members from product, marketing, sales, and community engagement, to better understand the vision, brand personalities, challenges, processes today, and ways of working. 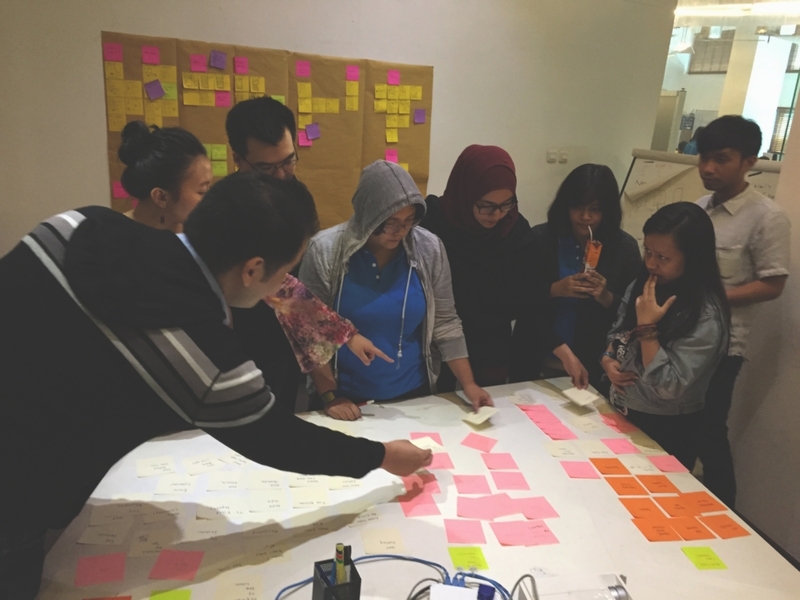 We then conducted user research with Kaskus users as well as non-users to uncover needs, motivations, behavior, preferences, and important nuances. On top of that, we did review of competitors and analysis of behavioral trends. From all these findings, we synthesized them into insights and identify opportunity areas for Kaskus, in terms of product strategy, positioning, features, and interaction. As part of this, we derived Design Personas, Customer Journey, and Design Principles to guide the following stages. Based on the research insights, we planned out an experience blueprint across the products: Jual Beli, Forum, Payment, and Ads, and map out how to integrate them to create a coherent ecosystem to empower the social commerce vision. We looked into each feature and together with Kaskus team defined what to keep, what to drop as they are no longer relevant, and what to add to enhance the experience. Tapping on existing user behavior, we derived several new features to create additional monetization stream, such as for premium users. We also looked into the navigation patterns and how to make it consistent across the mobile web, Android app, iOS app, and desktop website, while embracing its native platform capabilities and design language. As part of this, we also redefined the color palette for Jual Beli section, to differentiate and create stronger Call to Actions. 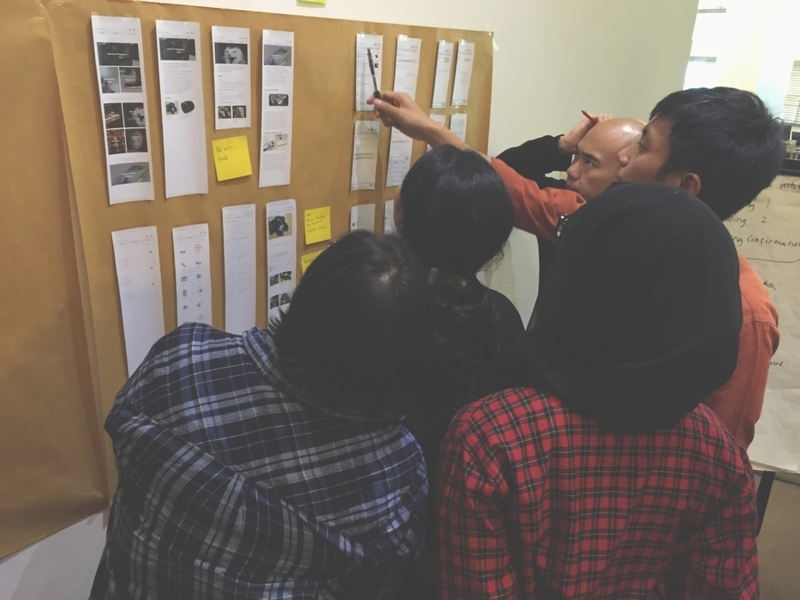 Once the Blueprint was set and signed off, we then continued to create detailed interaction design for the Jual Beli section. Based on the blueprint, we tackled the design in modular approach, including modules for Discovery, Content Creation, Transaction, Chat, Profile, Premium, and Onboarding. For each module, we covered initial concept, review with business stakeholders, iterate, testing with users, iterate, and final UI design within a 2 weeks sprint. We started out with the mobile web first, which then set the direction for the Android app, iOS app, and desktop site. The transformational journey, both for the product side as well as for organization, was shared at UXSG conference in September 2016, Singapore.